Professor John French is an academic interventional cardiologist, having co-authored 215 peer-reviewed papers. 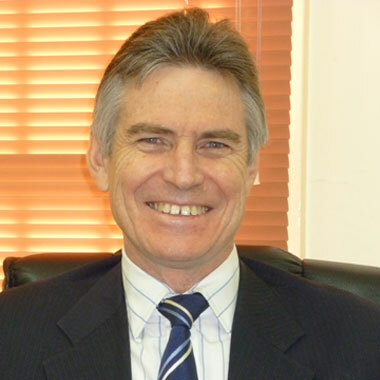 Prof French currently works at Liverpool Hospital, Wagga Wagga Base Hospital, and also consults at Riverina Cardiology and South West Cardiology (in Camden), NSW, Australia. Qualifications: BMED Sc. MBChB. PhD. FRACP. FESC. FACC. FCSANZ. His major clinical and research interests include management of acute coronary syndromes especially ST elevation MI with acute percutaneous coronary intervention (PCI), cardiac biomarkers especially high sensitivity troponins, and revascularisation of patients with diabetes; while no longer having a laboratory Prof French has an ongoing interest in cardiac genetics. Prof French has been a conjoint Professor at UNSW since 2003, director of Cardiac Research at Liverpool Hospital since 2004, and director of the Coronary Care Unit in the Cardiology Department at Liverpool Hospital (HOD 2007-11). After basic physician training in Auckland, he undertook a PhD at the University of Adelaide (1984-1988), further cardiology training at Green Lane Hospital New Zealand and a Wellcome Trust Postdoctoral Fellowship at University College London, UK. Prior to arriving in Sydney, Prof French was appointed to Green Lane Hospital and the University of Auckland from 1992-2003. He has been an investigator in numerous randomised controlled trials and is currently on the steering committees of the STREAM-2 and FREEDOM follow-on trials, and a member of the WNICR collaborative. Prof French has served on the clinical endpoints committees (CECs) of several major trials. Prof French since 2005 has served on the editorial board of the American Heart Journal, and reviews for many journals. Prof French has recently co-authored the NHF-CSANZ (Cardiac Society of Australia and New Zealand) 2016 ACS guidelines (lead writer for the STEMI section). He was the medical co-chair of the ACI cardiac network of NSW [2012-5], and chair of the clinical trials council of CSANZ [2011-4].